As teachers, Christian educators, and pastors, we are called to tell stories, to listen to stories, and to remember stories. We are called to invite people out of their hurried lives into an intentionally reflective space where they can hear God's story. Today, quick-fixes are offered in many forms, but rarely do they satisfy. The unhurried process of storytelling and story listening invites us into a sacred cadence, a rhythm that can reform our hearts, and even rewire our brains. Science and faith agree: Story is central. We tell stories in order to live, as Joan Didion says. Dates: September 23 - 25, Monday at 3:30 p.m. - Wednesday at 11:00 a.m. Cost: $75, some meals included; guest housing not included but reservations can be made by contacting Mikala McFerren or 512-404-4857. Chuck DeGroat is professor of counseling and Christian spirituality at Western Theological Seminary Holland, Michigan. He has spent more than twenty years in a fluid combination of pastoral ministry, seminary teaching, and clinical counseling. Prior to coming to Western Theological Seminary, he was a teaching pastor at City Church San Francisco, where he co-founded Newbigin House of Studies, an urban and missional training center. 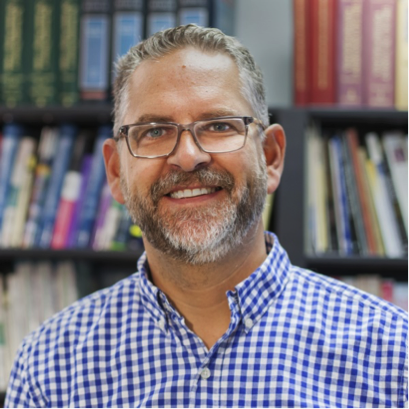 His academic specialization is in the intersection of psychology and the Bible, represented best in his book Leaving Egypt: Finding God in the Wilderness Places (Square Inch) – a narrative biblical paradigm for understanding counseling, care, mission, and formation. He is an ordained minister in the Reformed Church in America, a member of City Classis (the RCA’s urban, missional classis), and holds a PhD in educational psychology.